West 125th Street in Harlem is still a sorrowful sight. The gentrification sweeping every part of the city has up till now largely bypassed the main street of Harlem. Nondescript chain stores and boarded-up storefronts are still the rule. Toward the far west though, at the corner of Morningside Avenue, a modestly sized Catholic church appears. 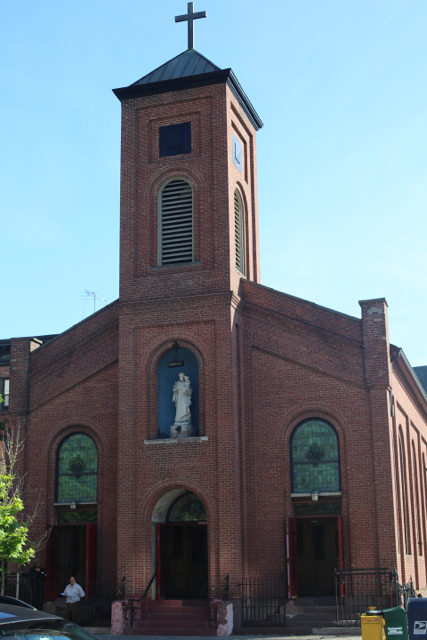 Made of red brick, stark and severe, it would look more at home in some small community up the Hudson River, in the far northern reaches of the Archdiocese. 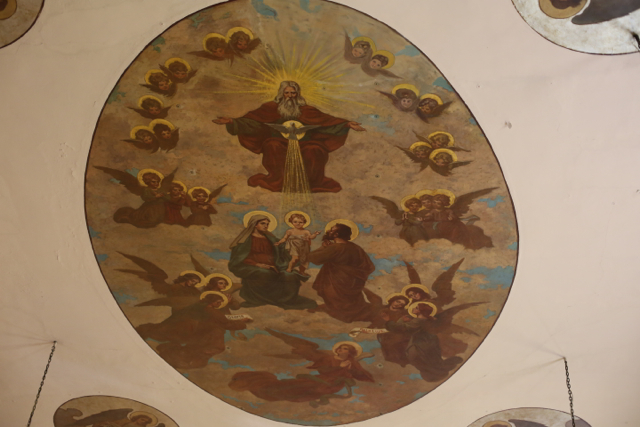 This is the parish of St. Joseph (of the Holy Family). Now this church looks like it might belong in some quasi-rural setting because when it was built this part of Manhattan island was indeed such a village: Manhattanville. 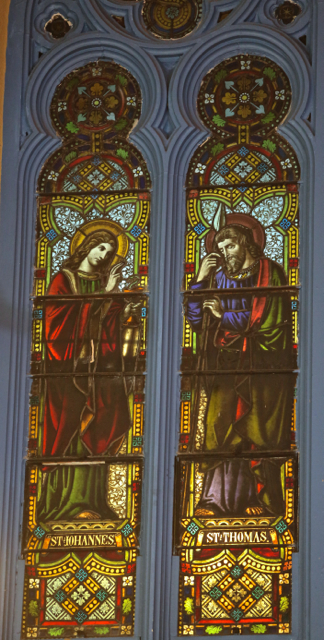 And St. Joseph, built in 1860, is one of the oldest Catholic church buildings still existing in New York City. 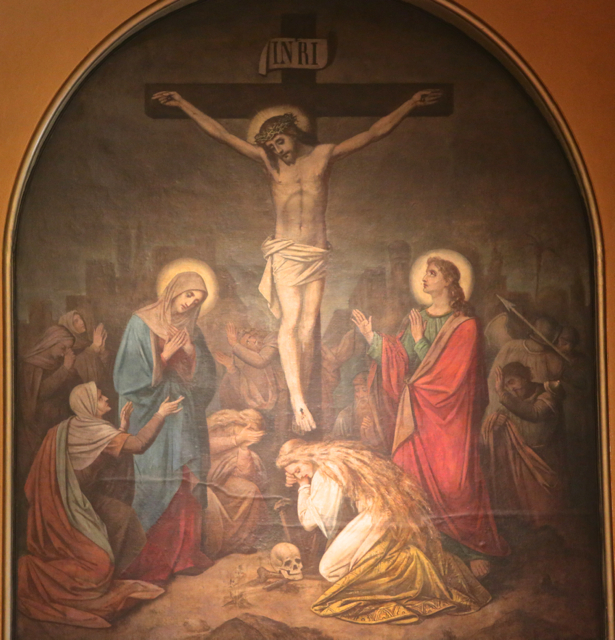 The sobriquet “of the Holy Family” is necessary because there are at least 4 other Catholic churches dedicated to St. Joseph in Manhattan alone (the oldest and best known is St. Joseph (Greenwich Village)). And why, we ask, is there another much larger Catholic church, Annunciation, just 6 blocks to the north on Morningside/Convent Avenue? 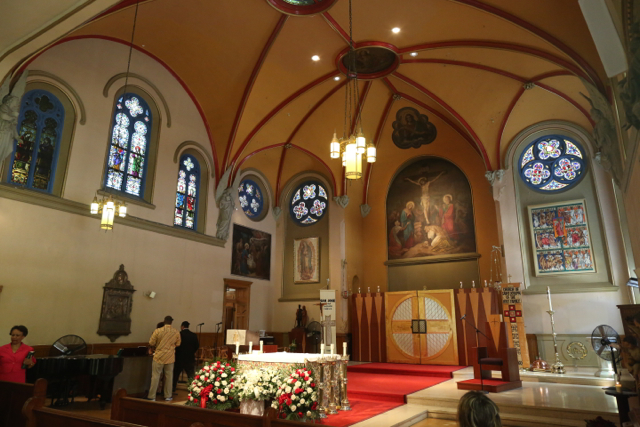 The unexpected answer is that St. Joseph’s was founded as a German national parish. 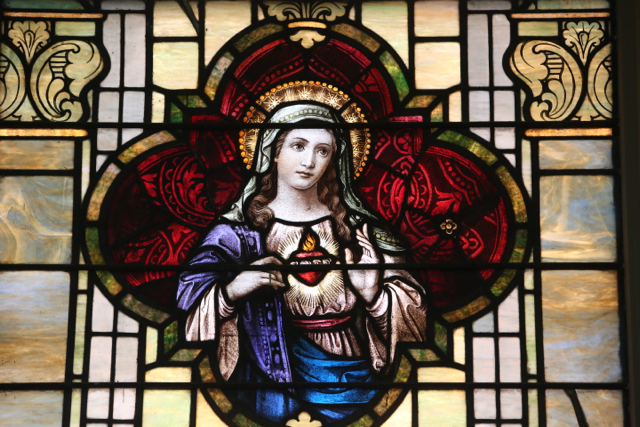 (Another part of the answer is that the original location of Annunciation parish was elsewhere). The neighborhood became one of the most crime and drug-ridden in New York. 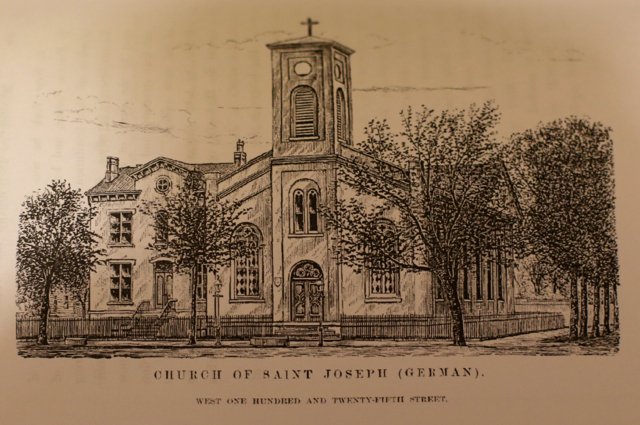 Yet St. Joseph’s struggled on, serving its new black and later Hispanic congregation. 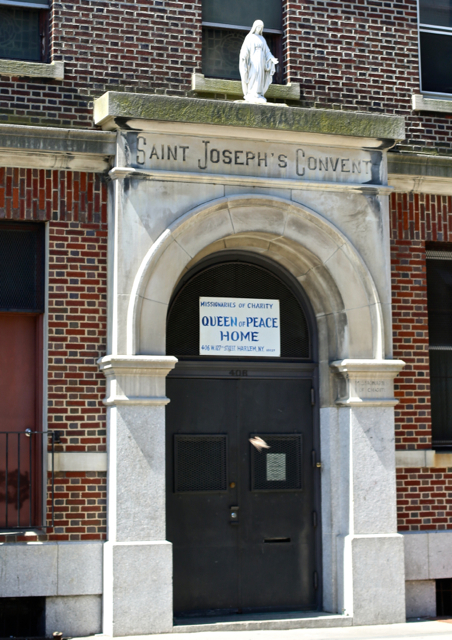 Testifying to the situation in this neighborhood is the shelter run by the Missionaries of Charity in the former convent of St. Joseph’s parish. 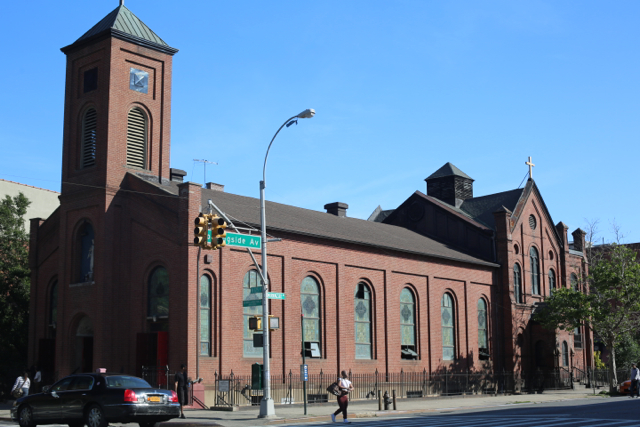 The Archdiocese closed this parish’s school in 2011 (along with two other Manhattan parochial schools in poor neighborhoods). Nowadays this ancient church remains as an amazing survivor from a remote past. In the interior, the visitor beholds only a simple decoration of windows with pictorial inserts and painted roundels and frescoes – a decorative scheme very similar to that of the contemporaneous church of Our Lady of Sorrows on the Lower East Side (likewise a German parish in an area that later grew very poor indeed) but without that parish’s architectural distinction. Other than a couple of fine statues virtually all traces of the original German ethnicity have disappeared. Proceeding to where the church widens out into the “new” 1871 sanctuary, one is disappointed to find absolutely no trace of the original furnishings – a horrifying clean sweep of everything took place at some point in the past. Yet no historic Manhattan church is without its unique treasures. 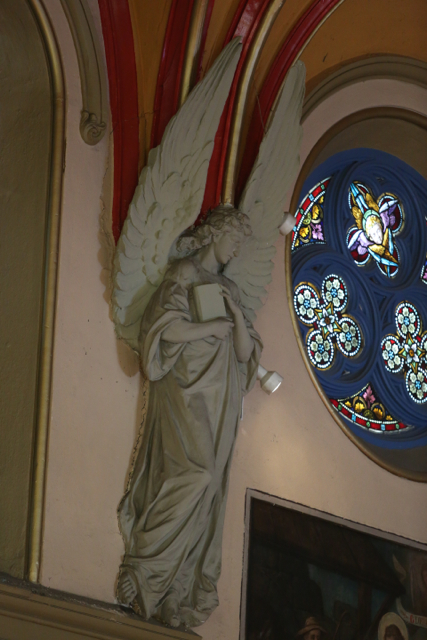 In the transept/sanctuary we see a couple of nice windows and some unusual angels appearing to serve as supports for the vaulting of the ceiling. 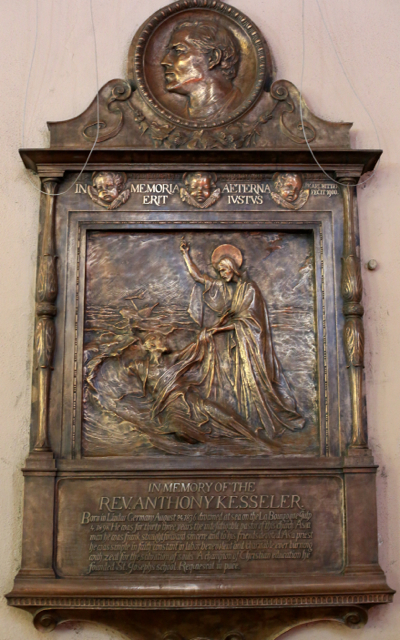 And then a remarkable discovery awaits the visitor: on the west wall is a marvelous plaque commemorating this church’s pastor of 33 years who drowned in 1898. 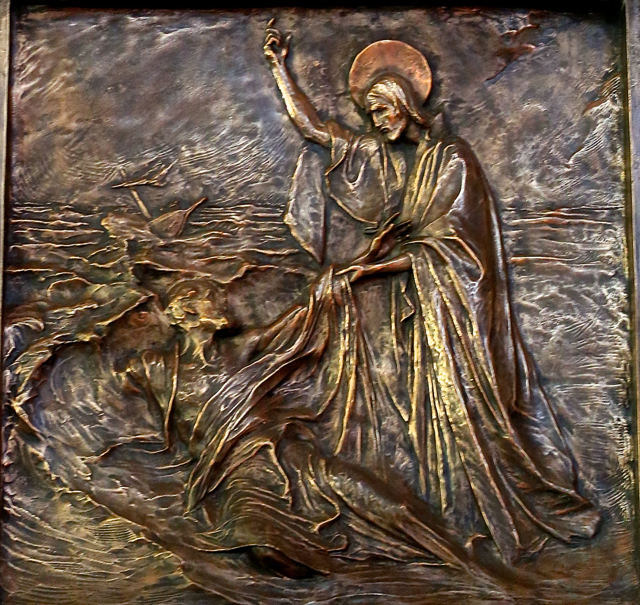 The moving composition shows Christ drawing the drowning priest out of the waters. Karl Bitter, an Austrian who was one of the leading sculptors of New York before 1914, executed it in 1900. 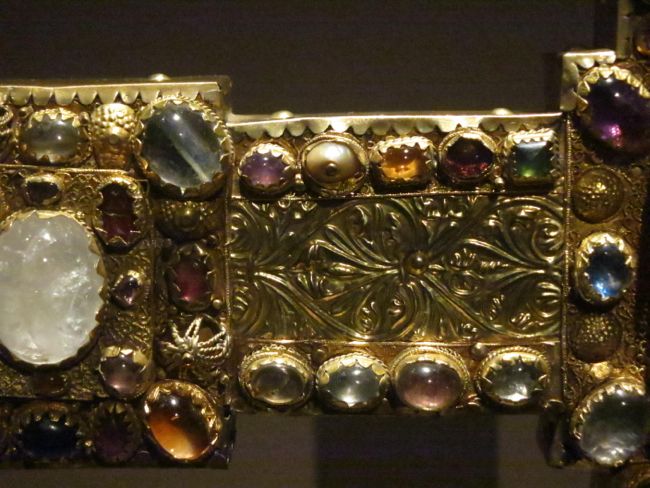 We would rather expect such a fine work in the church of St Paul the Apostle – or in the Metropolitan Museum of Art. It is magnificent monument to an age of irremovable rectors where a pastor could expect to live his whole life at his parish. 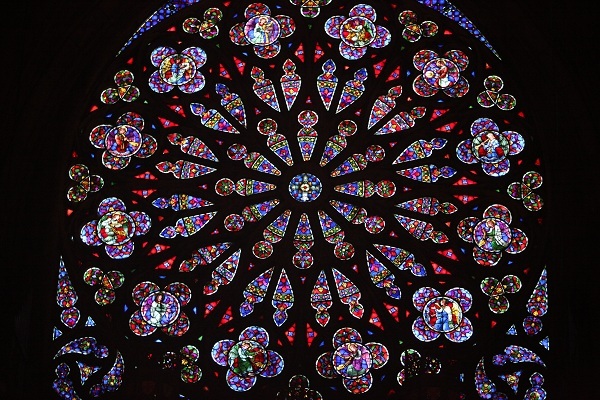 What a contrast with the 6-year tenure of today – making of the pastor a temporary functionary! 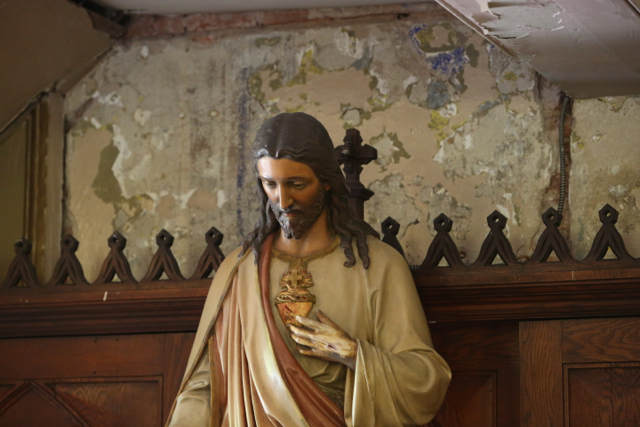 (Above) A statue of Christ against a damaged wall. 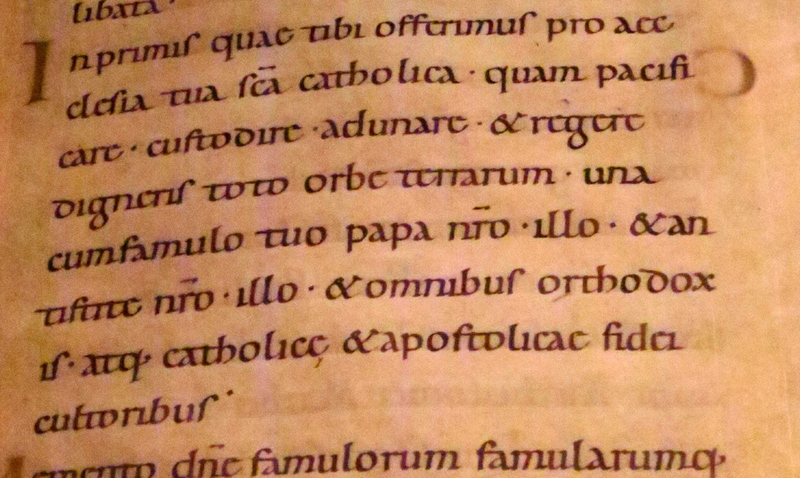 (Above and Below) The memorial to Fr. Anthony Kessler by Karl Bitter. Nowadays the big draw of this parish is its Sunday 10 AM Gospel Mass. 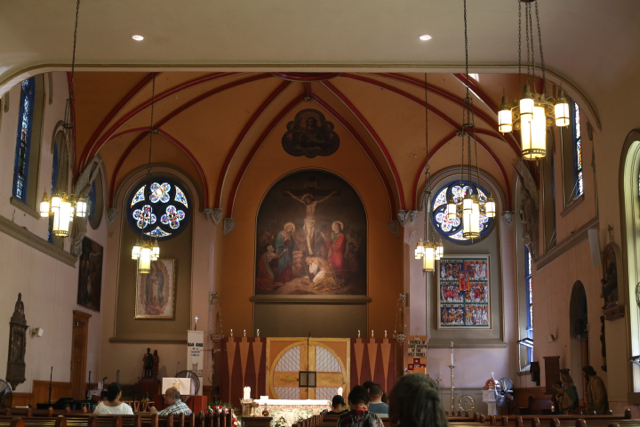 For this mass the obscure parish of St. Joseph’s seems to attract more foreign tourists than any Catholic church in New York with the exception of St. Patrick’s – the mass must be listed in guidebooks. It certainly “packs them in” with enthusiastic applause after every “number.” While I appreciate the dedication of a very poor parish it may be permitted to a Traditionalist to inquire regarding the relation of all this to Catholic worship. I also would suggest that any Traditionalist, finding himself accused of “aestheticism” (that he is attracted more by a “performance” than by worship), send his critic up to hear the main liturgy at St. Joseph’s. The other masses at this church, hover, also seem to be fairly well attended.